Keen to reduce carbon emissions and promote clean energy, Denmark committed significantly to wind power. The program has helped saddle Danish consumers with the highest home electricity costs in the European Union (EU). 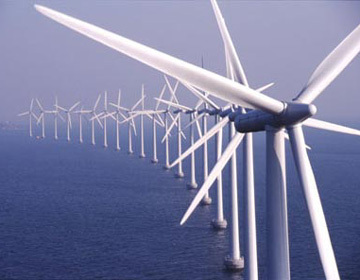 Proponents of wind power boast that 20% of Danish electricity is generated by wind. However, more than half of that over the last five years was created when unneeded. Since it cannot be stored, resulting surplus power was exported to Sweden and Norway at substantially less – sometimes zero – than prices guaranteed to Danish wind operators. Good for Swedes and Norwegians; bad for Danes. Good for power operators; bad for consumers. When the wind wasn’t blowing according to needs, Denmark imported balancing power from Norway and Sweden, at substantially higher costs.
. . . the majority of the power these private river projects produce comes in sp ring – when our public dams are full and demands at their lowest, meaning that all this private power will be for export. Only here’s the kicker: since we’re being suckered into paying two to three times the market rate for this power, we will have to flip it to our neighbours at a loss, driving up our power bills and taxes as BC Hydro goes from making a profit for the people of BC to being a drain on our province and economy. Good for Americans; bad for Canadians. Good for power operators; bad for consumers. Earlier in the document, we discussed how the stability of the Danish grid is maintained by the constant use of the “electricity storages” of Norway and Sweden, as electricity flows through the inter-connectors, keeping the balance between supply and consumption constant within the Danish systems. Each MWh of power generated from wind turbines that gets exported, carries away the subsidy that caused it to be generated. The price obtained for this by the Danish generators is, on average, the spot price. Any difference between the real cost of generating and its sale on the spot market is not a material consideration for the wind generators who are compensated retroactively when the spot price is low. But for the Danish householder who is paying the subsidy in order to save imported fuel and CO2 emissions, the subsidy so exported brings no direct benefit at all. The total probable value of exported subsidies between 2000 and 2008, was DKK 6.8 billion (€ 916 million) during this period. “Something rotten in the state of Denmark?” You bet! Likewise here at home. Campbell and friends are selling us out a breakneck speed, and thanks to mainstream media a.k.a. the Fiberal friendly Asper Canwest Global, very few British Columbians seem to be aware what's going on. Thanks so much Norman, for bringing attention to the sell-out of our rivers to mult-national corporations. There's currently 700 existing or applied for projects on rivers and creeks here in BC. Including the “big daddy” of them all Bute Inlet. Largest proposed private hydro power project in Canadian history,comprising no less than 17 rivers and all the roads, bridges and power lines that go with it. The proponent Plutonic Power is primarily backed by American corporate giant General Electric. No question, this is an American company trashing our rivers to supply power to the states. All on the 'invite' of Campbell and cronies. Not suprising to note that a flock of “Liberal insiders” have secured lucrative executive postions with Plutonic Power over the past few years. (as documented in a front page feature in The Province one week AFTER THE LAST ELECTION). Not suprisingly too little to late with the Asper press…just business as usual! I presume this allows them to claim responsible journalism. It's time to wake up folks! By the time the next election rolls around it'll all be gone!! Are you suggesting the fraudsters contracting with BC Hydro for tens of billions of $$$ didn't even think up the scam themselves? Oh well, crime is an international business.